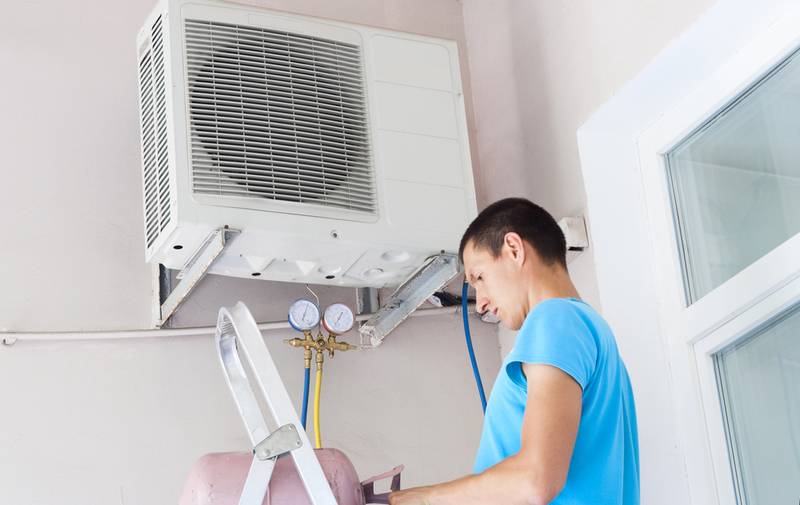 Once you've meticulously researched which type of air conditioner is best for your home and consulted with a professional cooling and heating contractor, all that is left is the AC installation itself. Before you make the appointment, you need to be aware of a few essential preparatory tasks. Although they aren't incredibly complicated, they can be time-consuming. First, you need to deal with your ducts. Regular duct cleaning is already a necessary aspect of HVAC maintenance, but it’s especially important right before an AC installation. If the ductwork is too dirty or in disarray, your new unit may not function as efficiently as it should. Following the cleaning, you should ask your technician to ensure the ducts are sealed properly. Once the ducts are cleaned and sealed, there's one more crucial step before the actual AC installation. Long before your technician arrives, you should make it a point to clear the area meant for the unit. Remove fragile items and protect everything else that must stay in the room. Professional technicians are careful, but accidents can still happen. Dust and vacuum accordingly before their arrival. Don’t forget to clear a path either; the more space your unit has, the greater its efficiency will be. Those with a split system will also need to clean the exterior of their property for the outdoor unit. Move any gardening tools, grills, tables, seating, or lawn decorations that may be in the way. With these tasks completed, you can finally relax and allow the professionals to do their job. Afterward, make the time to familiarize yourself with the unit manual. Even though you may have already learned the basics of your AC in your initial research, read the instruction manual thoroughly, especially the FAQ sections. Getting it right from the beginning will save you from a variety of problems in the future. If you’re considering an air conditioner upgrade, contact Guelzow Heating & Air Conditioning Service. Need something other than an AC installation? Having been in the business since 1953, this Wisconsin Rapids, WI, company can do it all, whether it's duct cleaning, in-floor heating installations, or fireplace tune-ups. Learn more by calling them today at (715) 423-1086 or visiting their website.